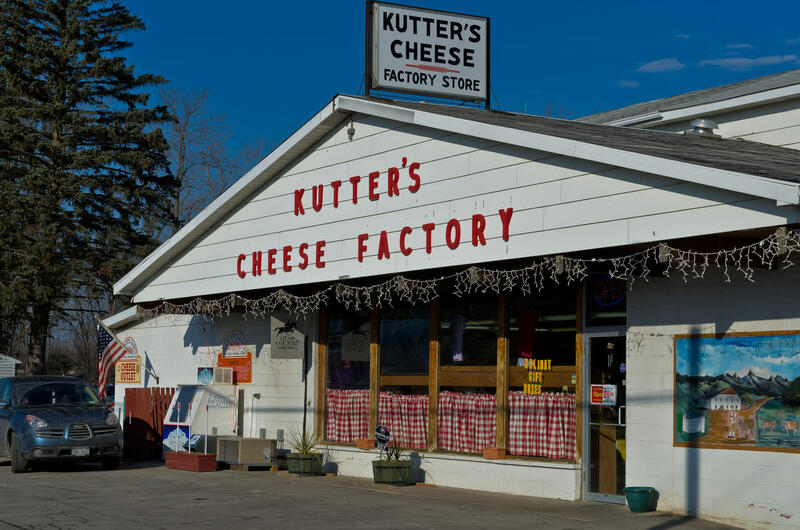 High quality cheese and cheese products - since 1947! Yancey's cheese factory and outlet store specializing in cheddar, muenster, colby, edam, gouda, havarti and other process cheeses. 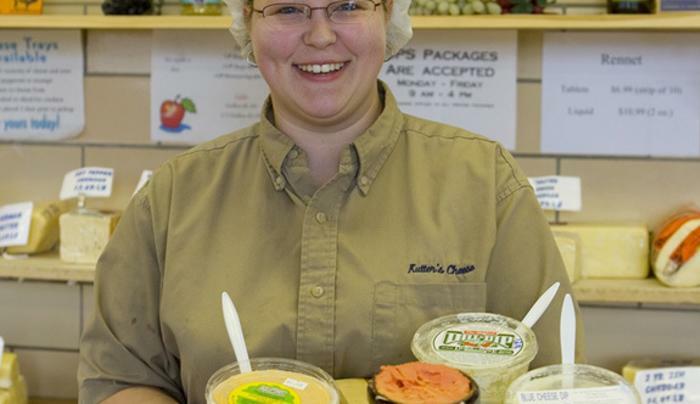 Selection of curds, dips, cottage cheeses, jams, spreads and crackers also available in the outlet store. 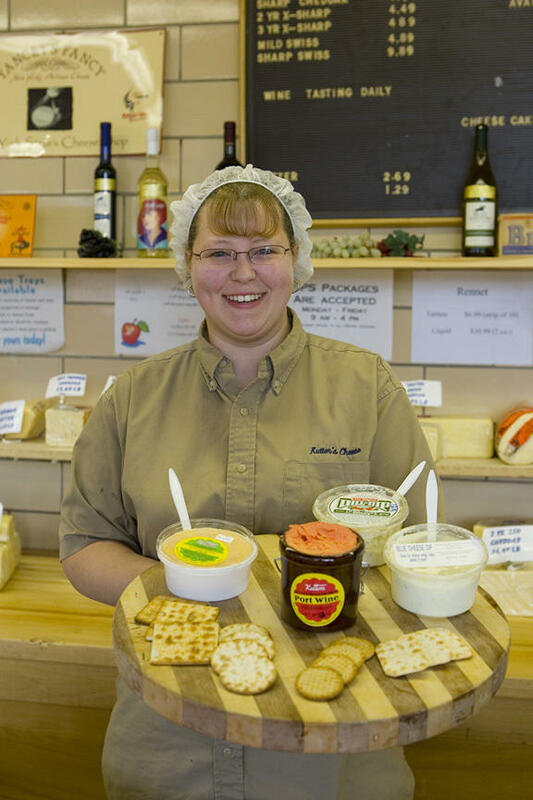 Shop in the store or schedule a wine and cheese tasting in their group tastings room!